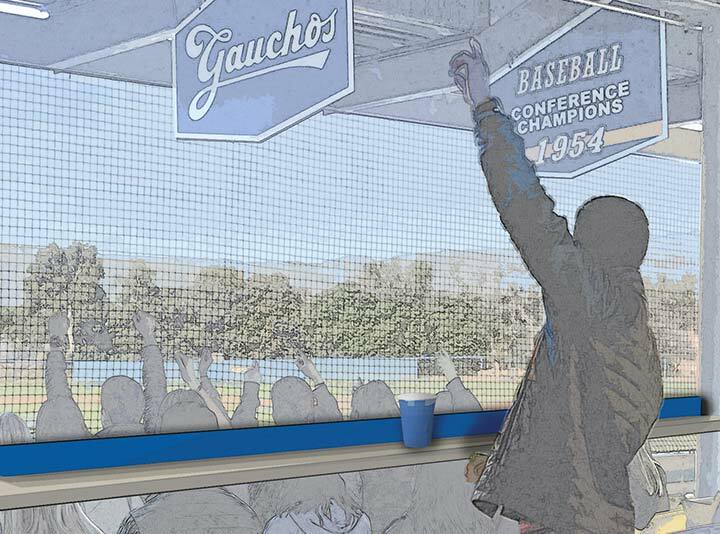 UCSB Athletics and the Gaucho Baseball program are excited to announce the installation of a standing bar plaza at Caesar Uyesaka Stadium. The standing bars will accompany all new chair back seats that are being installed on the lower level of the stadium. The Graham Family has generously kicked off this project with a $10,000 matching gift. Any new donation to the baseball program through June 30, 2019, made by a baseball alum will be matched dollar for dollar by the Graham Family up to a total of $10,000. With your help, we can raise a total of $20,000 for the baseball program and to complete the standing bar project. To make a gift via monthly payments please contact Christina Baglas at christina.baglas@ucsb.edu or call 805-893-5372.